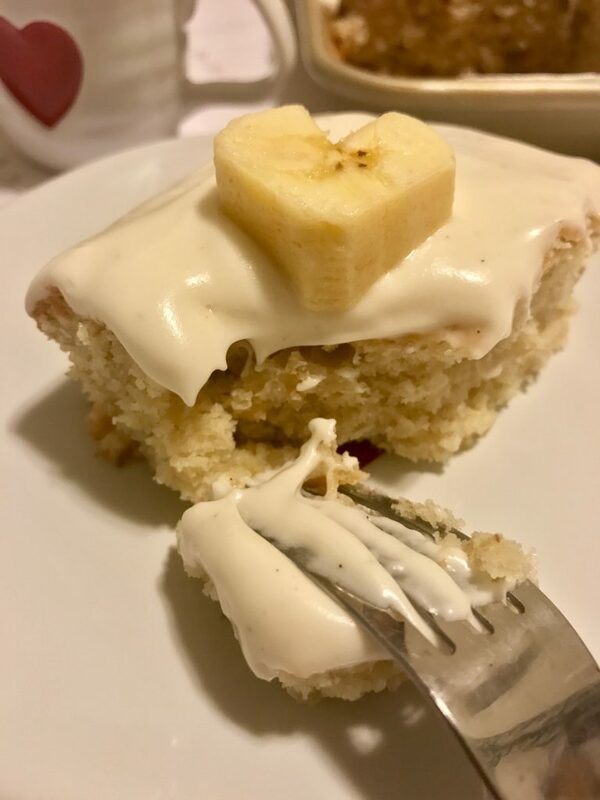 Use up over ripe bananas with this quick and easy Banana Cake with Cream Cheese Frosting. 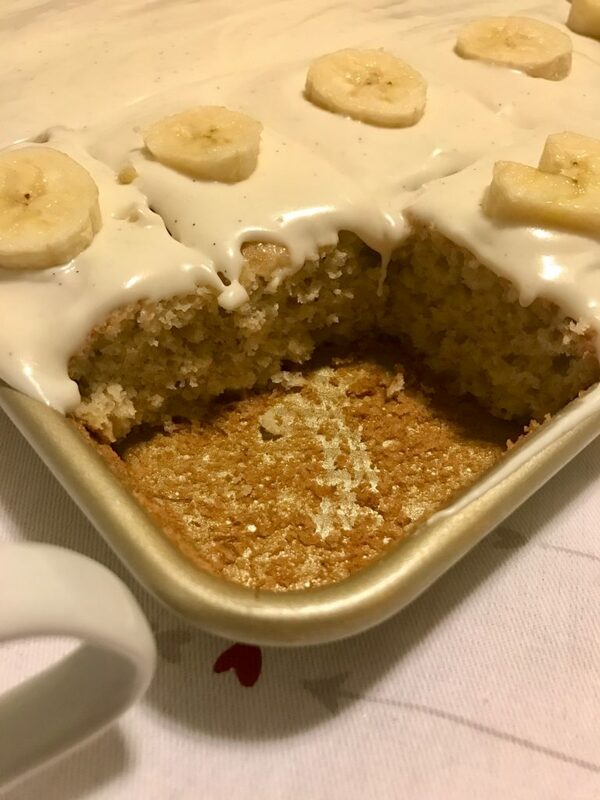 I usually make banana bread when I have any bananas that are a little too brown, but I wanted to make something different, and this ended up as Banana Cake. 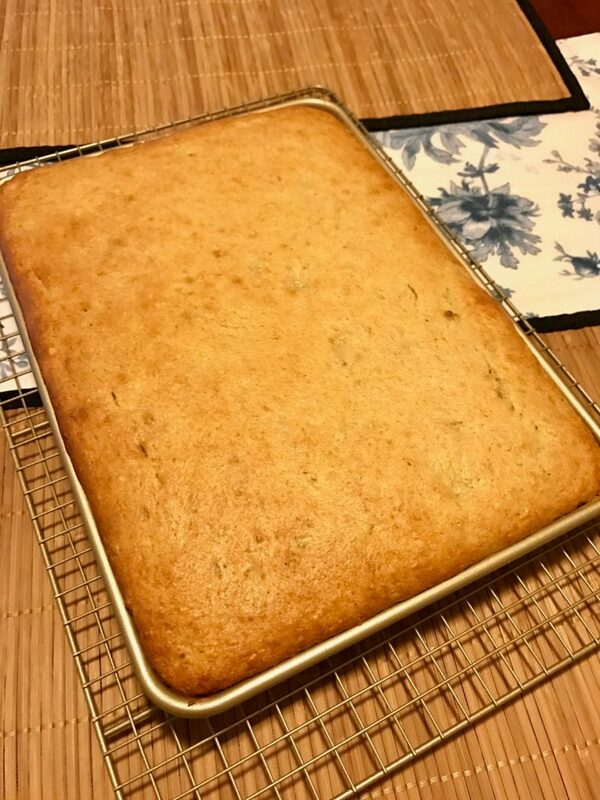 The cake gets its sweetness from the bananas, as there is little sugar added to the recipe! But what makes this cake so light and fluffy is the vanilla yogurt. It works as a fantastic substitute for sour cream in a recipe, and takes desserts to the next level. You’re going to love this cake! To make this cake you only need one bowl and about an hour of time – from start to frosting! It really is that simple. Be sure to get good vanilla yogurt. I used Noosa Vanilla. It’s rich and creamy and isn’t absolutely loaded with sugar. So easy and so delicious, this will be your new go-to dessert! For The Cake: Preheat oven to 350 degrees. Butter a 13 by 9-inch baking dish then set aside. In the bowl of an electric stand mixer fitted with the paddle attachment, cream together sugar and butter then mix in yogurt and eggs. Stir in mashed banana and vanilla extract. Add the flour, salt and baking soda then mix well. Pour batter into prepared baking dish, spread into an even layer and bake in preheated oven until toothpick inserted into the center comes out clean, about 35 minutes. Cool completely on wire rack before frosting. 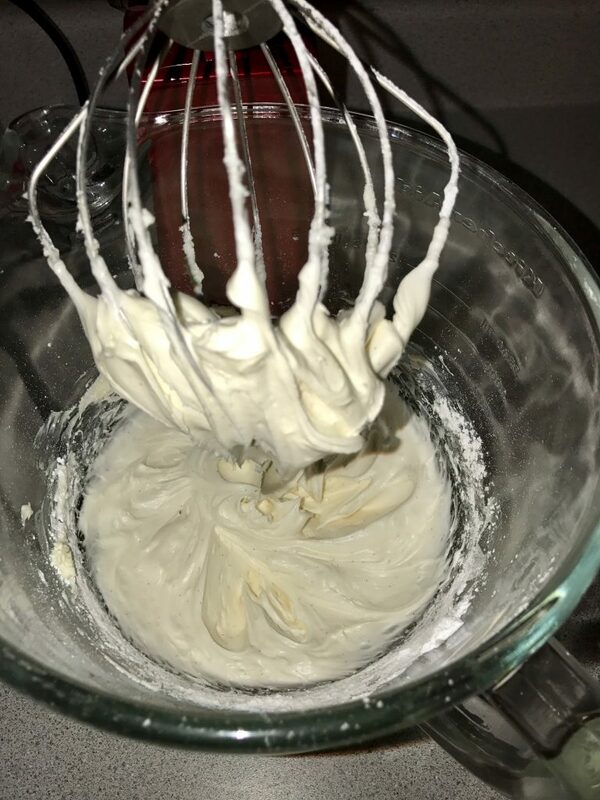 For The Icing: Combine all ingredients in the bowl of a stand mixer fitted with the whisk attachment until light and fluffy. About 3-4 minutes. Spread over cooled cake and top with sliced bananas. Let rest and room temperature a bit before serving.